MUMBAI: A student’s life can be hard – exam pressures, the stress of competition, parents with lofty dreams breathing down your neck to perform well – or at least better than Sharmaji ka ladka who got into the best college in town! 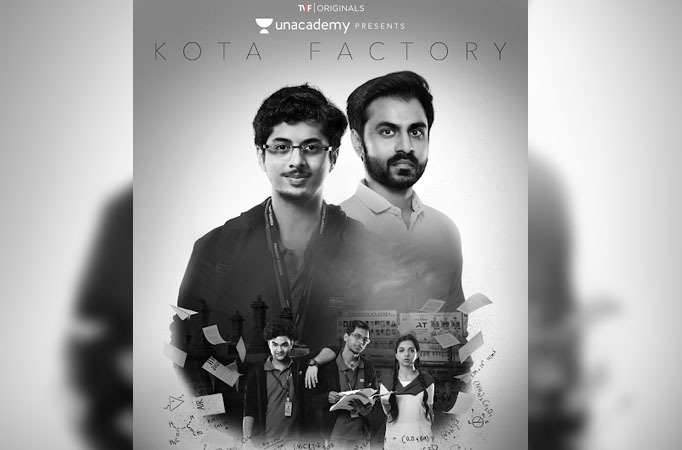 With all these things to juggle, some students also have to deal with the extra pressure of dealing with a new place and people when they move to a new city for studies like the protagonist Vaibhav (Mayur More) of TVF Originals upcoming series Kota Factory. Anyone who moves to a city like Kota, or any other city for studies – the biggest issue that plagues them is that feeling of being an outsider. Everything is alien. From the place itself, to the people, to the way they function and in a vast country like India, sometimes even the language can make you feel like an outsider. Most students who move to other cities have to deal with either hostel food or have to eat out most of the times. In such moments, all one can think about is of all those times when mom would serve hot food at meal times or even of the times when you were studying late in the night and there she would be with a plate of fruit and tea to help you study during the night before exams! This one’s especially brutal. Most students who are exceptionally good and toppers in their own schools might not actually be the best when they go to a new city. A new city means more people, more toppers and perhaps someone who is way smarter than you! Little wonder that most students who move to new cities end up bringing their laundry home or a lot of times just prefer to live in messy rooms because there’s no one to clean up after them! No mom, no maid, no one! Most people think it helps build character – doing things by yourself, but the reality is, with 14 hour study sessions, do you really blame students for not wanting to do chores? Most students move to new cities to study when they’re just out of school. Most 16-18 year olds have never lived away from their families or had friends outside of their schools. To leave all this behind and go into the unknown can be unnerving and honestly, a little scary. And the homesickness can be crushing! But, as the great Baazigar said ‘Kuch Paane Ke Liye, Kuch Khona Padta Hai’ – and that’s where the fun lies! Moving to a new city for studies can be daunting. But once you settle in – you start looking at the world with a fresh perspective and start enjoying yourself. Treat it like an adventure and you’ll have fun exploring a new place and making new friends and perhaps also find time to study hard enough to get into that dream college!